Celebrate a special occasion or perpetuate the memory of a loved one. Or just to help CHAI. To donate to our wish list, use the Donate page, and specify that your gift is targeted to a specific item on our wish list. Please indicate in the comments text area how you'd like your name, short message to appear. *Shaded boxes indicate prayer changes for special occasions. *Headings identify major prayer sections. Click here to donate one or more. With clear instructions and English transliterations of all Hebrew blessings and prayers, this book is a complete guide to creating an atmosphere of comfort and familiarity at any Shabbat Dinner. When your at Chabad, you would love to be holding one of these. Ever sat in a front of a prayer thinking: So what do I do now?! felt clueless? Here’s the life-saver in the synagogue! * Know what’s going on throughout the services. 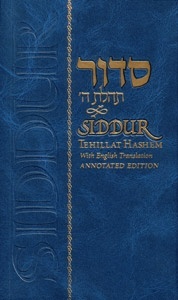 * Includes complete transliterations of the Friday night Shabbat prayer service. * Explains the meaning and history of each prayer. Chabad would love to make these available at our services.